As a friend called out to me over the sunny weekend, “another great day in paradise,” and what racing sailor on the Chesapeake could argue with that? From SSA in Annapolis to the Southern Bay, there was excellent competition to be had. Here’s your racing roundup for the weekend of August 25-26. If you’ve never heard of Dr. Stuart Walker, you must be new around here. 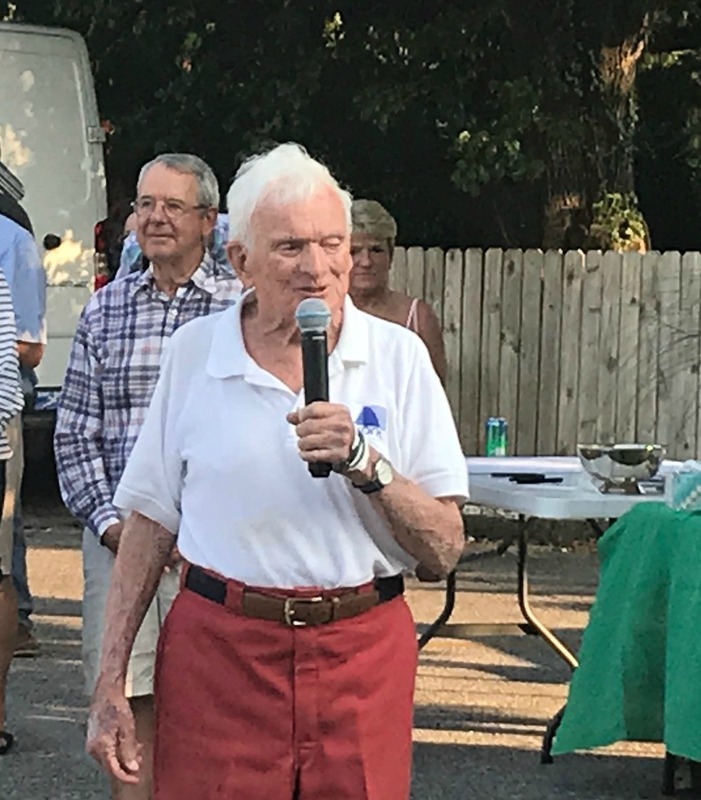 Hundreds who know him well gathered Sunday evening at Severn Sailing Association (SSA) around the 95-year-old racer and celebrated his accomplishments and recovery from a recent illness after the day’s racing. 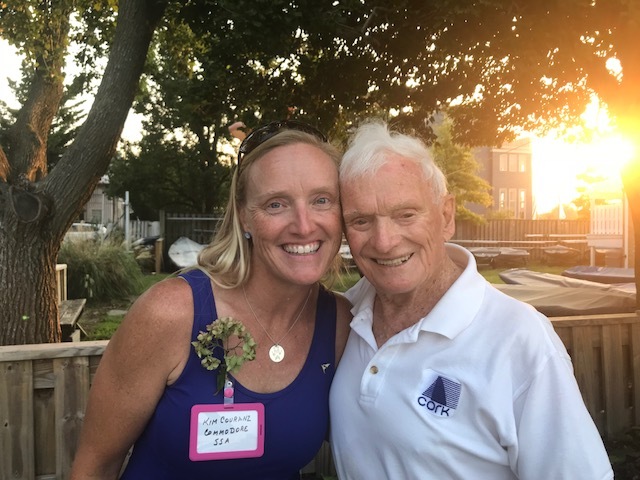 “Stu” as he calls himself, was center stage, with the microphone in hand to enthusiastically introduce many of his friends, including SSA Commodore Kim Couranz, whom he gave high praise for her recent victory with Carol Cronin at the Women’s Snipe World Championships. In a short, yet touching speech, Couranz told the crowd how much Dr. Walker meant to the community of SSA, how much he was loved and respected, and how she and future SSA members would carry on his legacy into the next 65 years. 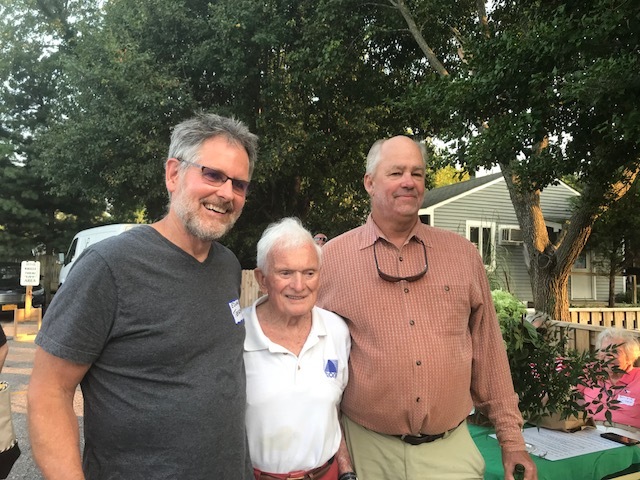 Revelers, competitors, friends--even one who came from Japan just for the party!--and admirers enjoyed oysters, beverages, live big-band music and Eastport music, a la Eastport Oyster Boys, on a gorgeous summer evening. There was a giant inflatable Rudolph the Red-nosed reindeer on site (it's Stu's Easter lawn ornament. Let that sink in.)... Did we mention that Stu was selling his new book? Of course he was. We don’t have a link to that one yet, but here a dozen other books Stuart H. Walker has written. SpinSheet very much appreciated the invitation to the party. Sail on, Stu! Now here are some racing results…. 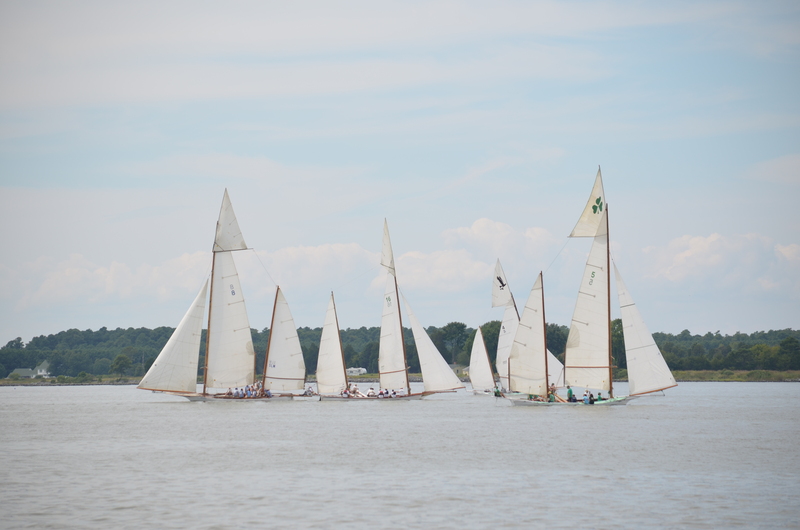 Tred Avon Yacht Club held its William M. Myers Heritage Regatta over the weekend at Oxford. Not all results have been posted, but we did hear that Latane Montague and his son Latane (14) proved victorious in the Hampton One Design National Championship! Randy and Teddy Stokes placed second, with Gordon Wolcott in third place. Results for log canoes, Shields, and Stars are not yet posted, but keep your eyes on the TAYC Race page. 3.Ben Weeks & Michele Cochran, Rumble. 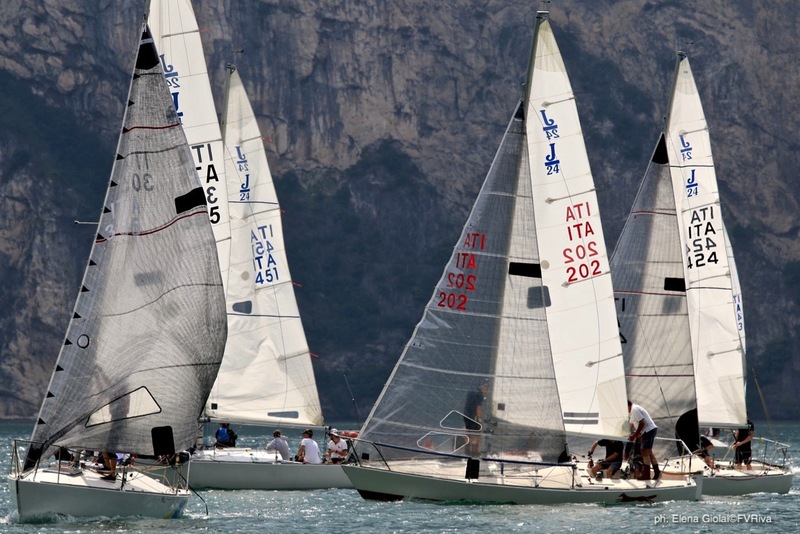 In the far-flung Chesapeake racer department, Annapolis pro Geoff Ewenson is sailing with Travis Odenbach on Honeybadger in the J/24 Worlds in Lake Garda, Italy... today the team placed third of 89! Way to go Travis, Geoff, and team! 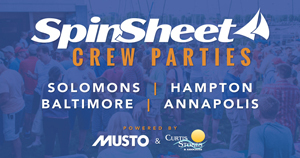 Would you like to see your Chesapeake racing news in our racing roundup? Send news and photos by 9 a.m. on Monday mornings to [email protected], and we’re happy to share it.